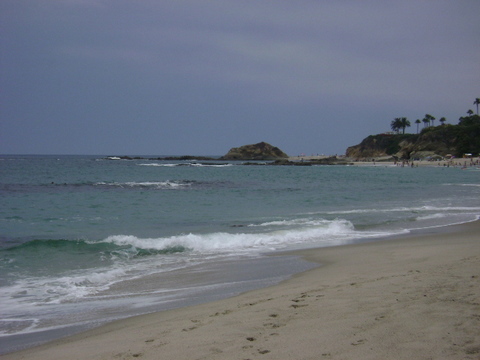 Aliso Beach is also one of Laguna’s longest sandy beaches. There are rocky outcroppings on either end of the beach for the kids to explore. However, the last time I was there- we went to go climbing on the rocks and the lifeguards ran over to let us know that the rocks were closed- due to the incoming tides. I guess they just didn’t want to have to paddle-out to rescue us after we were washed into the surf! If you’re interested in snorkeling or scuba-diving, this beach does not have much shelter. So head out on calmer days and you’ll find reefs off to either side which have ledges and shelves for plenty of hiding spots for critters to wedge into. 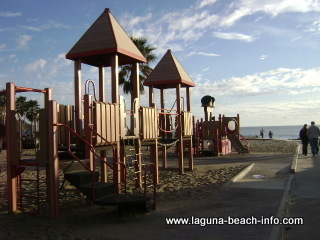 Aliso Beach has a children's playground with several apparatus to climb on, swing from, and slide down! There is also a small swingset here for the children to enjoy! 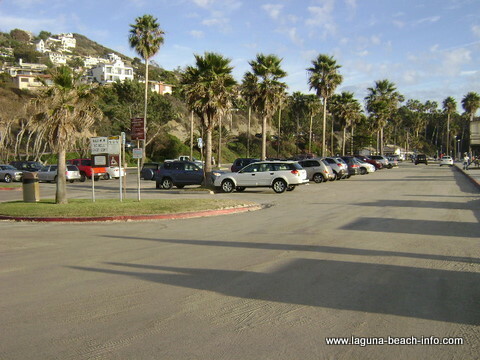 The playground at Aliso Beach is conveniently adjacent to both the sandy beach, and the parking lot. Because the playground is positioned so close to the sand, even if you can't pry your children away from the fun equipment- you'll still be able to enjoy a fabulous view of the coastline! 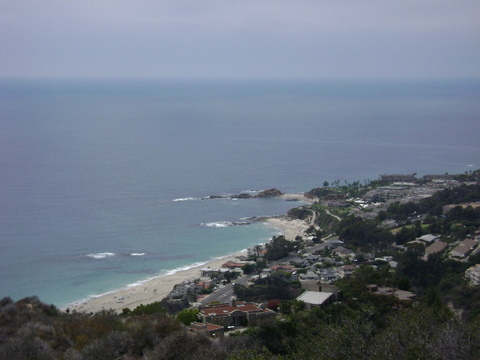 This is a stunning view of Aliso Beach looking down from Aliso Peak. 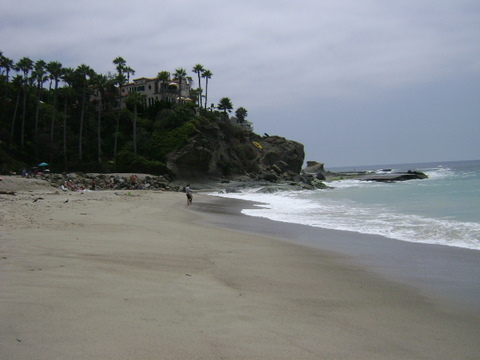 This short hike provides dramatic views of the Laguna Coastline in both directions and is definitely worth the effort! The Arch at Treasure Island. 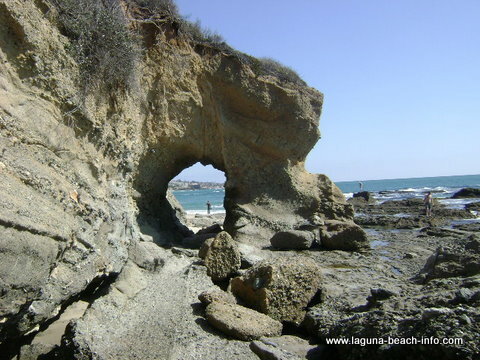 If you walk north along Aliso Beach, as you pass The Montage you will reach this beautiful and frequently photographed natural arch! 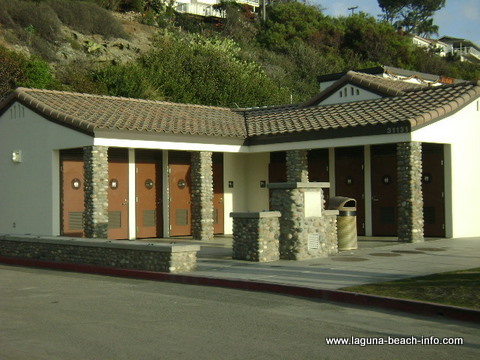 These are the Aliso Beach public restroom facilities, which are located right next to the main parking lot. 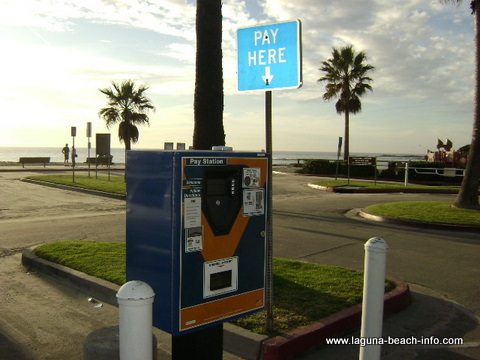 The meters will charge you about $1 per hour and generate a receipt to put on the dashboard of your vehicle. Look for these self-service meters around the parking lot! 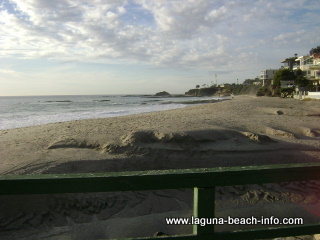 Return to from Aliso Beach to Laguna's Beaches page. 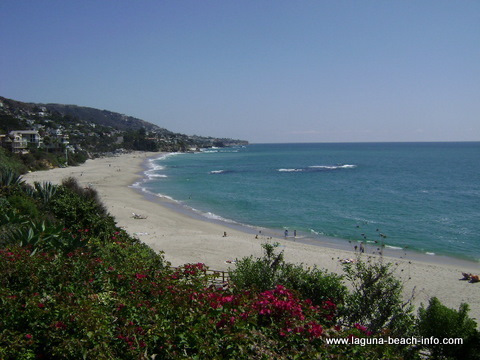 Return to the Laguna Beach Info Home Page.